Nothing is more adorable than vintage baby items. 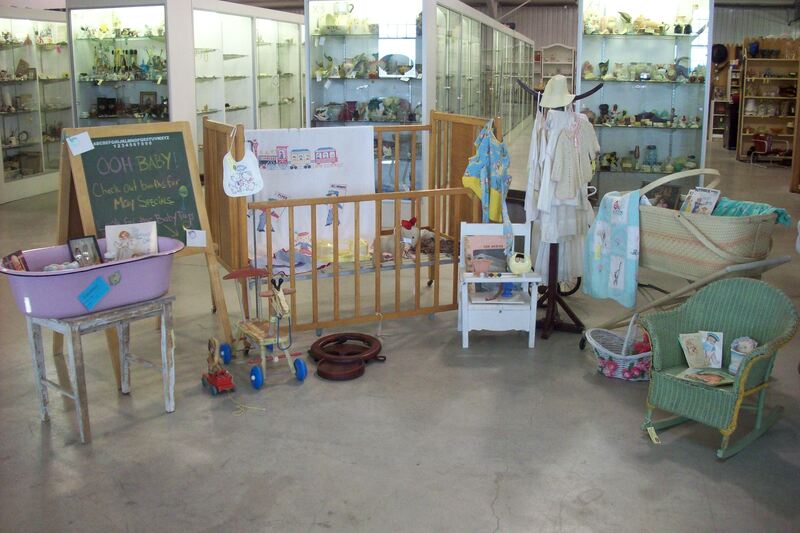 Even if you don’t have a baby, you will ooh and aww over our many vintage items. Some of these items can be repurposed by turning a potty chair into a potting chair or by making a baby bath a flower bed. There are so many possibilites! Look throughout the store for various sales. If you have ever thought about starting your own vintage business, now may be the time. For the month of May, for every booth space rented we will let you use a lighted display case for FREE! Not just for a month, but for the entire time! This entry was posted in Monthly Specials, Uncategorized and tagged Antiqque Mall, Antique Sale, Booth Rental, Monthly Specials, Repurpose Vintage Items, Vintage Baby Items, Vintage Decor by fkantiques. Bookmark the permalink.